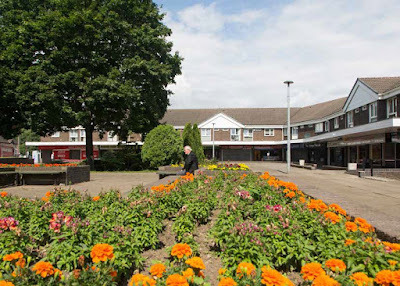 Developers are set to be approached regarding a multimillion pound redevelopment scheme to transform an area at the heart of Swinton, a town in the north of the Rotherham borough. With the main focus being Rotherham town centre, where a new masterplan has recently been adopted, Rotherham Council said last year that other town centres throughout the Borough were being considered for regeneration where opportunities could be identified. The regeneration of Swinton town centre has been under consideration for some time and the Council has identified that an opportunity can be brought forward at an early stage relating to existing Council-owned land and buildings alongside an option to acquire an adjacent site from a public sector partner organisation. The site totals nearly seven acres and includes the cleared disused council offices at Queen Street that suffered a fire back in 2015 and the former Swimming Pool and Squash Court in Charnwood Street that were demolished in 2016 having suffered an arson attack. The site of the former Charnwood House care home, which is also set to be demolished, is also included and the authority is now seeking cabinet and commissioner approval to acquire an adjacent site. A development brief has been prepared for the site, which is within the Swinton Conservation Area, and the main intended outcome is the delivery of new homes in a range of sizes and tenures. Certain public buildings are proposed to be retained (and potentially refurbished) as part of the development: the community centre, the parade of shops together with the residential accommodation above and also a library function, in some form, is part of the proposals. Some soft market testing in relation to the redevelopment has been undertaken with developers and architects and the authority reports that this has indicated that there appears to be demand for the site from the development market. A Council report states: "The brief requests that developers approach the proposal with a focus on creativity and a view to providing a catalyst for further improvements in the area. It is expected that the redevelopment will be innovative in design and quality terms and that both the market and affordable homes provided will enhance the community further, creating a new customer base for existing businesses and increasing the viability of the Town Centre offer." A Rotherham Housing Developer Summit is taking place on October 11 at Rotherham United's AESSEAL New York Stadium. Organised by the Council, the summit brings together people from across the region to deliver housing growth by tackling the local housing industry challenges and to make the most of local opportunities.